Mukesh Kumar, 28, has a curious way to impregnating his wife: he cut off his tongue to petition the Hindu God Shiva for a child. He is obviously not commenting on the sacrifice or its success, but the press has reported that he was upset with the fact that he has been married for four years without a child. 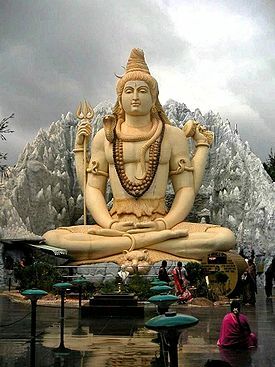 That is when he decided to call upon Dr. Lord Shiva. 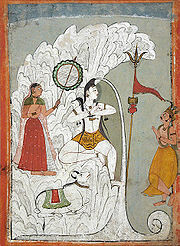 Recently, two devotees of Shiva sacrificed themselves to the God, here, by throwing themselves into a fire. Live sacrifice in flames has long been connected to Shiva, including the burning of the widow in the Sati ritual, here. I still believe artificial insemination or adoption might be worthy alternatives to consider. If I had to cut off my tongue to have a child, I think I would adopt! I must say most well played. You have displayed another side of yourself that I heartily approve of. Well–maybe not comparable–but our government has sacrificed billions of taxpayers’ dollars to the fat cat gods of Wall Street. Perhaps some type of painful ritual is in order for our government officials and their greedy gods. That brings to mind the Gift of the Magi by O’Henry. aka William Sydney Porter. Hey nest time you go to Austin check out the O’Henry Festival. Yes, they even have a Birthday Party for Eeyore. You snarly dude. That was real tongue in cheek. What a tale he could tell if he could tell his tail or is that tale?